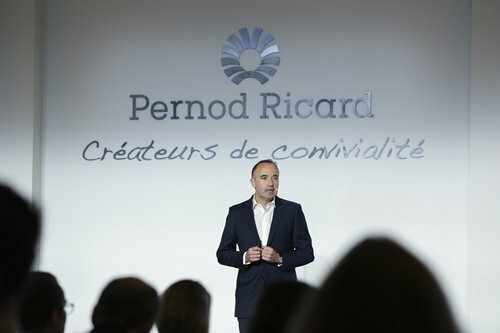 France-headquartered Pernod Ricard, a world-leading distiller, is expecting double-digit growth in the Chinese mainland market in the fiscal year from July 2017 until this month, a company executive said on Wednesday at its Capital Market Day conference held in Shenzhen, South China's Guangdong Province. "For the first nine months of the current fiscal year, which was from July 2017 to March this year, our performance was up 19 percent year-on-year in the Chinese market, in contrast to a 2 percent annual growth rate in the last fiscal year," said Philippe Guettat, chairman & CEO of Pernod Ricard Asia, on the sidelines of the event. "The strong growth for this year will probably be double-digit," Guettat said, adding that the final figure will be provided in early September. 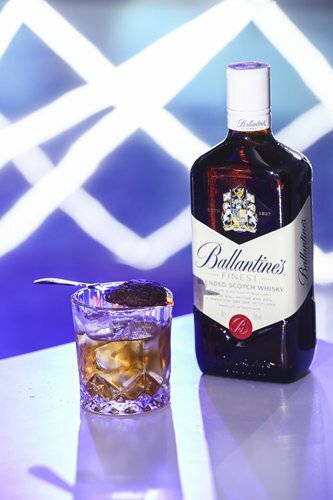 Pernod Ricard sells a wide range of spirits from top segment cognac like Martell and high-end whisky of the Chivas brand to premium wine and spirits such as Absolut, Ballantine's and Jacob's Creek. According to a slideshow presented during the conference, imported spirits in the Chinese market make up only 1 percent of the value and volume of total spirits consumption in China, a country with a deep drinking culture focused on its domestic baijiu spirits. And the company, an industry leader, aims to help double the percentage of imported spirits in the Chinese market by 2025. "The potential is big, but we really need to invest in educating consumers and it should be gradual. Tapping the increased purchasing power of middle-class Chinese consumers and building strong brands would be how we achieve our goal," Guettat said. "We are pretty confident about continuing to achieve strong growth from a low base," Guettat said. "Hopefully we can target low double-digit growth at something around 10 [percent] for the Chinese mainland market in 2018." Currently, China and India each comprise one-third of Pernod Ricard's Asian sales. To further tap the Chinese market, the company aims to build its brands to become part of the everyday drinking repertoire of China's growing middle and affluent classes. Despite the current growth momentum, the company is also strategizing to adapt to the slowing growth of the Chinese economy, which is in the process of a soft landing, and to Chinese consumers' evolving consumption habits, which put a lot of emphasis on health and image. According to IWSR, which provides data on the wine and spirits market, during the 2013-17 period, the market for imported spirits in China experienced a U-turn, falling to a low in 2015 but rebounding swiftly by 2017. Over the same period, the sales of baijiu grew at marginal rates while the overall sales of beer dropped by 6 percent. But Guettat believes that imported spirits are only at the very beginning of growth. "Because I feel we can really play on these global trends. People are seeking more quality and less quantity, for which I think we are really delivering. We are also promoting lower ABV brands, with alcohol lower than 40 percent, and mixability that offers long-lasting flavor and conviviality, without putting too much pressure on health," Guettat said. "All these trends are converging and making it a favorable environment for the development of imported spirits, but we have to win the hearts of consumers by building this emotionally," Guettat said. Referring to the competition with China's high-end liquor producers like Kweichow Moutai Co and Wuliangye Yibin Co, Pernod Ricard considers itself to be complementary rather than a rival, especially as the company does not aim to convert baijiu drinkers into consumers of imported spirits. "We can bank on China's great culture of enjoying drinks. And our products can serve as spirits and alcohol during meals but also outside at night. We also stand to benefit when people drink less beer and baijiu in trading up to better and more expensive lot," Guettat said. "We are also working on repertoire of consumption. People can drink an Absolut with tonic as an aperitif, then drink baijiu during dinner and if they go out after that they can drink Chivas or Martell. Respect of the traditions is observed but at the same time we are part of the repertoire tradition," Guettat said. In particular, the company is focused on consumer education in order to attract more Chinese millennials in the 24 to early 30s age group to become new consumers of imported spirits and of its brands. Pernod Ricard is looking to appeal to the affluent middle and upper-middle classes so they can become its core consumers. By 2024, there will be 600 million Chinese with households earning an after-tax income of $4,000 per month, according to the company's estimates. The company is also looking to target young Chinese adults who are starting to earn more money. These consumers are becoming increasingly ready to pay more for better quality and to become loyal customers of the brand. 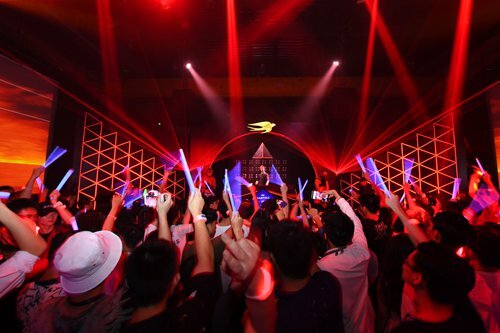 To achieve that, the company has upped its investment to leverage the Chinese digital eco-system, to set up e-commerce sales channels and to partner with the US' National Basketball Association on Chinese events and online shows such as the Rap of China.